A second Quartering Act (citation 14 Geo. III c. 54) was passed on June 2, 1774, as part of a group of laws that came to be known as the Intolerable Acts. The acts were designed to restore imperial control over the American colonies. While several of the acts dealt specifically with the Province of Massachusetts Bay, the new Quartering Act applied to all of the colonies. In the previous act, the colonies had been required to provide housing for soldiers, but colonial legislatures had been uncooperative in doing so. The new Quartering Act similarly allowed a governor to house soldiers in other buildings if suitable quarters were not provided, but it did not have the provision in the previous act that soldiers be provided with provisions. While many sources claim that the Quartering Act of 1774 allowed troops to be billeted in occupied private homes, this is a myth. The act only permitted troops to be quartered in unoccupied buildings. "It did not, as generations of American school children were taught, permit the housing of troops in private homes." The freedom from having soldiers quartered in private homes was a liberty guaranteed since 1628 by the Petition of Right. Although many colonists found the Quartering Act objectionable, it generated the least protest of the Intolerable Acts. This act expired on March 24, 1776. 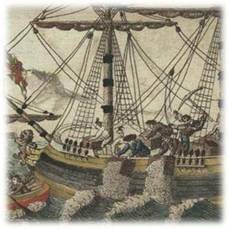 As part of Lord North’s disciplinary program against Massachusetts following the Boston Tea Party, Parliament amended the Quartering acts of 1765 and 1766. Under previous legislation, the colonies were required to provide soldiers with living accommodations in public facilities, such as inns and taverns or unoccupied buildings. The revised law authorized billeting soldiers in occupied facilities, including private homes.